More than 44% of the customers visiting IndieCommerce websites are using mobile devices. Mobile use is not slowing down; if anything, it is growing by leaps and bounds. With so many mobile customer visiting–and buying–it is absolutely essential that your website be mobile friendly (responsive). If you need assistance or want more information, please contact staff@bookweb.org. IndieCommerce participating stores are invited to attend a webinar on “Making the Most of Book Data on Your Website” from 2:00 p.m. to 3:00 p.m. EST on Thursday, August 2. 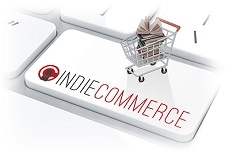 All IndieCommerce participating stores are invited to attend the webinar (IndieLite does not offer the features that will be covered), which will be hosted by ABA’s Matt Supko. Booksellers can register for the webinar here. IndieCommerce members can visit the IndieCommerce Webinar Center and the IndieLite Webinar Center at any time to catch up on the 2018 IndieCommerce webinar series. Stores now have the option to offer Ingram’s “T” category of sidelines through IndieCommerce. These sidelines include calendars, blank journal books, and maps. As you know, calendars in particular do very well during the holiday shopping season. On July 1, 2018, Kobo instituted a new process for ABA member stores to purchase eReaders to sell in-store or online. Stores will now use unique discount codes to purchase devices at the same 5% discount and with the same affiliation terms as before. All ABA bookstore members in good standing are eligible to participate Kobo’s eReader program. To receive discount codes, email Kobo-ABA-hardware@mail.rakuten.com. * You will receive a confirmation email along with INTERNAL and EXTERNAL discount codes from Rakuten Kobo. A unique discount code is affiliated to each ABA member, and each code can be used multiple times by that store. Stores can visit https://us.kobobooks.com to order in-store inventory with their internal discount code. Please note this URL has been updated, and a password is no longer required to enter the store. The external discount code allows ABA members to promote Kobo hardware to their customers through an online affiliate program, with no inventory liability. External discounts codes are to be shared with your customers. Details, including enrollment, affiliate pricing, and shipping information, are included in this PDF from Kobo. Inquiries about the new purchasing process should be addressed to Kobo-ABA-hardware@mail.rakuten.com. Note that ABA is not involved in the administration of this program or with the sales of Kobo eReaders.